Hotel Kingfisher Udaipur is one of the best budget hotels in Udaipur. It is a best option for elite businessmen and leisure travelers. It is suitable for families, group of friends and even for couples on romantic holidays. They provide superior hospitality service and their dedicated staff members will make you experience the leisure services that you would like to cherish forever. It is located on the main transportation road of Udaipur and nearby from bus stand and railway station. It is very popular as one of the best family hotels in Udaipur with amazing accommodation options and unmatched hospitality services. It is also having one more attraction point very nearby and that is Marvel water park. You can spend your fun filled day at marvel Water Park and rest peacefully at night at hotel Kingfisher Udaipur. It is an ideal place for comfortable stay with your family or your loved ones. It offers a myriad of hospitality services to spend your best time of vacation. 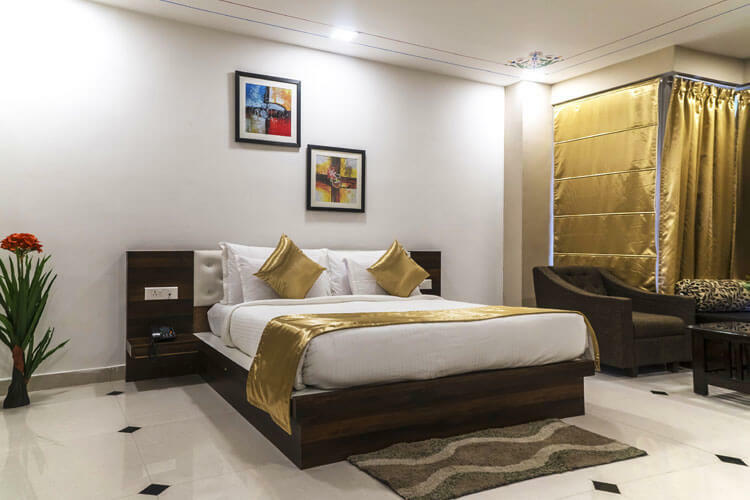 So, If you are planning a visit Udaipur city then, hotel Kingfisher is one of the most prominent option for you to stay at as they also have one of the best Udaipur tour packages. This place is very vibrant and charming and you can spend your vacation days at hotel Kingfisher Udaipur by doing Udaipur hotel booking. They also have a conference halls and banquet halls in Udaipur which is available for meetings, parties and wedding functions. Its tranquil ambience and unmatched hospitality services makes it feel like you are staying in a resort but it is actually a budget hotel in Udaipur, which gives all the luxurious facilities in very affordable rates. So you can enjoy very relaxing holidays along with your family or your loved ones. Hotel Kingfisher Udaipur is also very much popular for its well known restaurant “Donachie”. People pre book the tables for lunch and dinner plus they also have the takeaway facility available. Its food is very good in both quality and taste also. It can satisfy your hunger as well as you mind and your taste buds also. Another benefit for staying at hotel Kingfisher Udaipur is, it is very near from the very famous Marvel water park. So if you are planning a trip with your family which includes kids also, you can have an amazing stay, delicious food and water park fun all together at once. So, don’t think too much, just plan your next trip to Udaipur and book a room in hotel Kingfisher Udaipur and enjoy your vacation days. 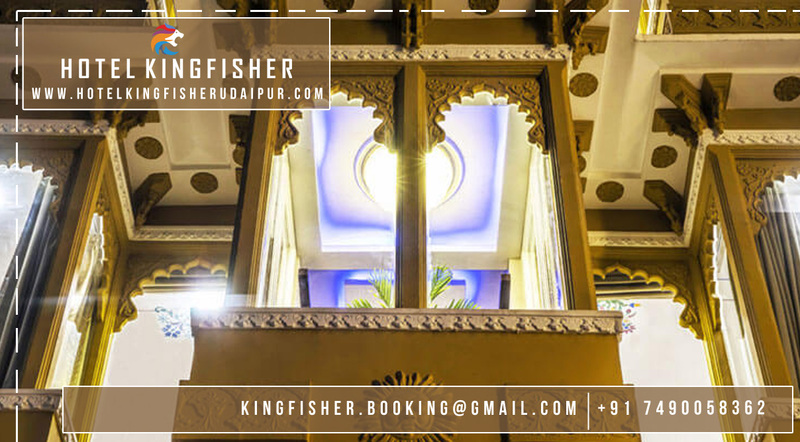 Because hotel Kingfisher is the only hotel which will give you one of the best Udaipur hotels package among rest of all the hotel in Udaipur.